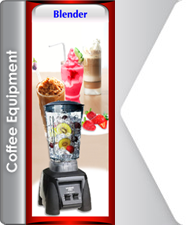 Commercial blender from a simple smoothies until shake beverage and chowder. Worry-free, by the function “Automatic Turn Off”. You can leave it for another simultaneous work. New Design. Blades made of stainless steel, longer and harder. Reducing operation time. Durable motor, support continuous work, overheating prevention. Net weight 12.2 lbs. or 5.5 kg. (13.8 lbs. include packaging). Power supply 120 Volt 50/60 Hz. 11.5 A. 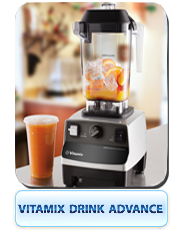 Blender Carafe made of Polycarbonate capacity 32 oz. or 0.9 ltr. 1 year warranty through the service centers country-wide.